For those who need a break or a place to wait while your significant other shops, there are these. 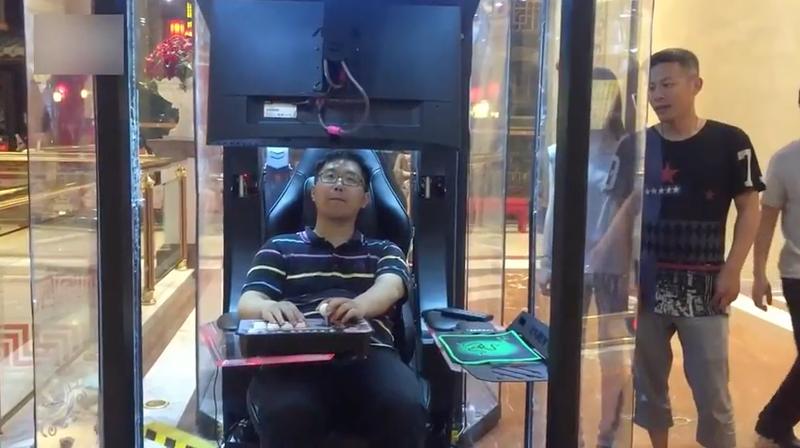 As pointed out by The Paper (via Shanghaiist), the booths were installed in Shanghai’s Global Harbor Mall for a one-month test period. For those who don’t want to game, they can watch TV. The booths don’t have air-conditioning or ventilation, which probably helps inadvertently limit how long people will want to relax in them.